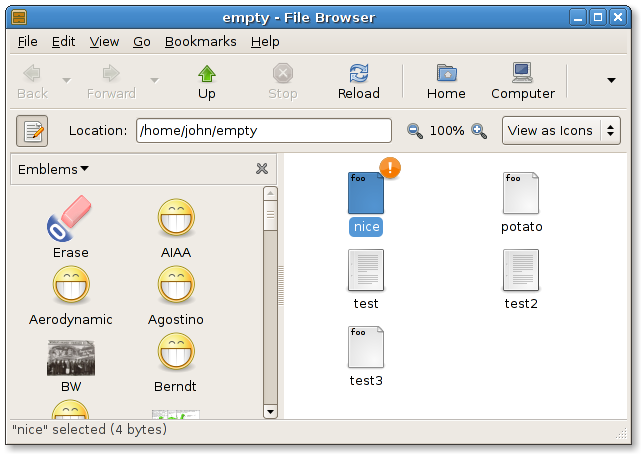 When Tracker was proposed for GNOME 2.18 I was one of its staunchest supporters, arguing that a GNOME wide unified metadata storage system would enable a richer desktop experience, and take GNOME beyond its competition. 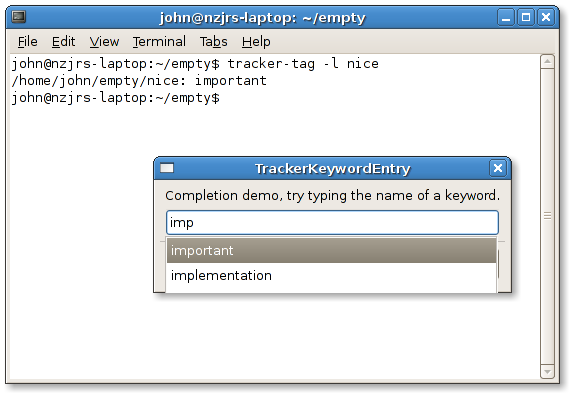 Tracker did not make the cut for GNOME 2.18, and will no doubt be proposed again for GNOME 2.20. Freedesktop emblem spec Allows desktop file managers and indexers to present a list of predefined emblems and tags to the user, and allows these predefined emblems/tags to be installed by third party developers in a consistent manner. Tracker Nautilus Integration Nautilus using tracker for storage of all tags and emblems. 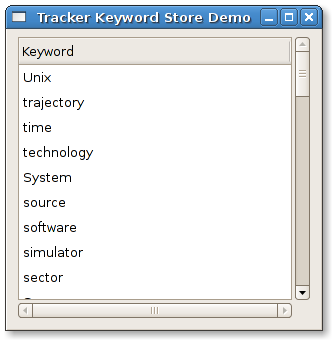 libtracker-gtk A bunch of gtk widgets that application authors can use to add tracker functionalit to their application. Industrious individuals could probably find the bzr repositories for the above work, but at the moment it is not quite ready for prime time consumption. Stay tuned for more news.